Cyber threat intelligence includes reliable data collection from numerous sources, context relevant analysis, production of useful intelligence, and distributing the relevant information to stakeholders. 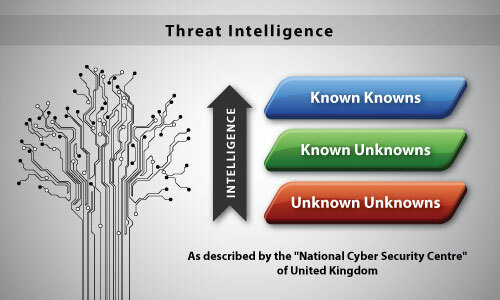 Organizations can upgrade their defenses and create countermeasures by acquiring intelligence related to the Tactics, Techniques, and Procedures (TTPs) of potential threat actors. A threat intelligence analyst should have specialized skills and knowledge to competently understand the methodology and mindset of modern attackers and deploy the threat intelligence accordingly. This program will benefit students who are looking to build effective threat intelligence for their organization in order to combat modern-day cyber-attacks and prevent future attacks. To enable individuals and organizations with the ability to prepare and run a threat intelligence program that allows ‘evidence-based knowledge’ and provides ‘actionable advice’ about ‘existing and unknown threats’. To ensure that organizations have predictive capabilities rather than just proactive measures beyond active defense mechanism. To empower information security professionals with the skills to develop a professional, systematic, and repeatable real-life threat intelligence program. To differentiate threat intelligence professionals from other information security professionals. For individuals: To provide an invaluable ability of structured threat intelligence to enhance skills and boost their employability.